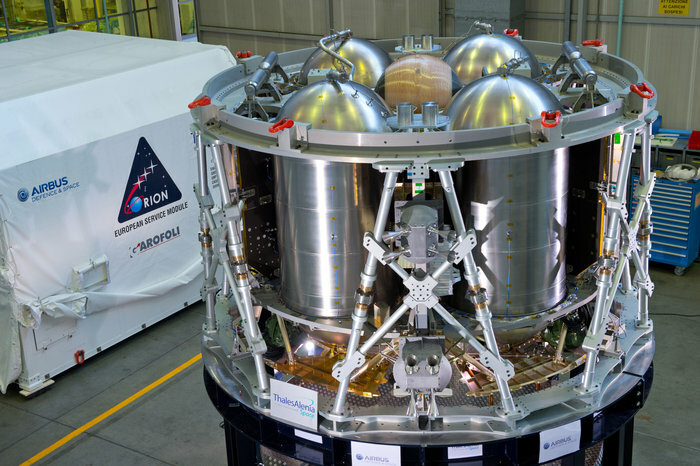 November 11, 2015 – A test version of ESA’s service module for NASA’s Orion spacecraft arrived in the U.S. on November 9 after leaving its assembly site in Italy last weekend. The European Service Module is adapted from Europe’s largest spacecraft, the Automated Transfer Vehicle, which completed its last mission to the International Space Station in February. 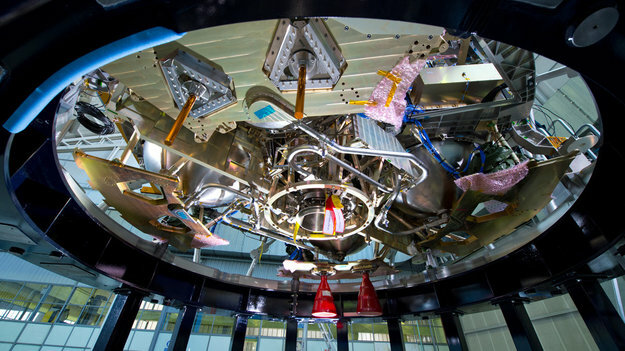 Just nine months later, prime contractor Airbus Defence & Space in Bremen, Germany, has delivered the first test module. A little over 5 m in diameter and 4 m high, it weighs 13.5 tons. 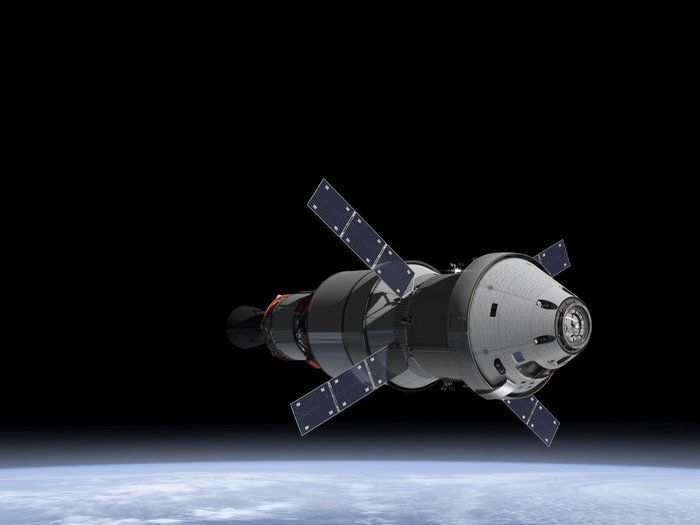 The 8.6 tons of propellant will power one main engine and 32 smaller thrusters. The structural test article delivered this week was built by Thales Alenia Space in Turin, Italy. 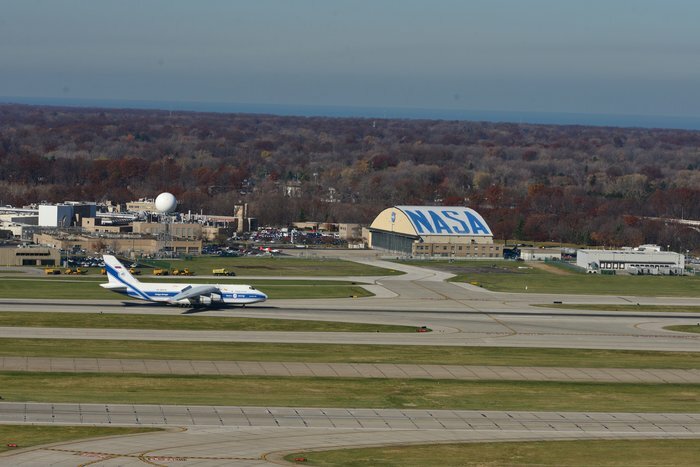 Following initial tests in Europe, it will now undergo rigorous vibration tests in NASA’s Plum Brook Station in Ohio to ensure the structure and components can withstand the extreme stresses during launch. During the mission, the module will detach shortly before entry into Earth’s atmosphere.